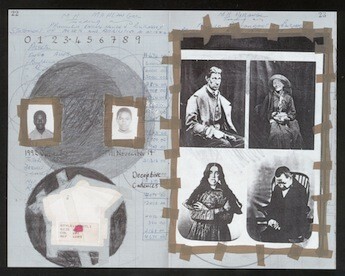 This lecture, delivered by Macgeorge Visiting Speaker, Professor Steven Nelson, explores how South African-born, Amsterdam-based artist Moshekwa Langa, who spent his youth under the rule of Grand Apartheid in South Africa, trades in ethnography, the historic relations of whites and blacks, and the systems of homelands in the nation state to create collaged and drawn geographies that point to the constructed nature of official South African maps. This discussion also looks at how Langa’s work, in its mixture of languages and semiotic systems, deconstructs the authority of maps and “official” information as a means to create new spaces and new ways to understand affiliation, and belonging, both racially and sexually. This lecture is coordinated in partnership with the Power Institute, University of Sydney, as part of the Keir Lectures on Art Series, supported by the Keir Foundation.